17 August 2017 – Today, PEN International calls for the immediate and unconditional release of Zehra Doğan. Pending her release, the Turkish authorities should allow her access to painting materials, in line with the United Nations Standard Minimum Rules for the Treatment of Prisoners (the Nelson Mandela Rules, in particular Rule No. 105). On 12 June 2017, Doğan was taken into police custody while she was on her way to a family visit. On 24 March 2017, she was convicted of ‘propagandising for a terrorist organisation’ under Article 7/2 of the Anti-Terror Law by the Second High Criminal Court of Mardin province and sentenced to 2 years, 9 months and 22 days in prison. Since her arrest, Doğan has been held in Diyarbakır’s E-type Closed Prison. Doğan’s conviction relates to a previous arrest in July 2016, following which she was charged with ‘propagandising for a terrorist organisation’ and membership of a terrorist organization and spent four-and-a-half months in prison prior to her release pending trial on the first of these charges. 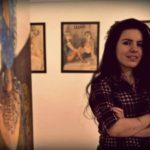 The criminal charges against Doğan concern a painting, news article and her social media activity. The painting at issue is her recreation of a photograph taken by the Turkish military and disseminated by social media accounts linked to the Turkish security forces. The picture was taken during the five months’ curfew imposed on the town of Nusaybin, which was a site of the conflict between the Turkish army and the PKK (Kurdistan Worker’s Party). Although Doğan neither took the picture nor added the Turkish flags, the Court in its decision states that, ‘the defendant photographed a scene in Nusaybin and painted Turkish flags on destroyed buildings. It is clear that the painting is against the operations that were conducted as a result of the PKK terrorist organisation’s violence and force. The painting is beyond the limit of criticism of the operations carried out by the security forces in order to restore public order and it is propaganda for the PKK’s barricade and trench policy’. Doğan argued at her trial that producing a painting of a real-life event based upon a photo taken and disseminated by the Turkish military was part of her work as a journalist. Zehra Doğan (born in 1989) is the founding editor of the world’s only women’s only news agency, Jin News Agency (JİNHA), which was closed on 29 October 2016 by Statutory Decree No. 675. It is one of four news agencies and 55 newspapers that have been closed since the beginning of the state of emergency, 13 months ago. For her work for the agency between 2010 and 2016, Doğan received numerous awards, including the prestigious Metin Göktepe Journalism Award for her reportage ‘The Screams of Yezidi Women’. In addition to our call for Doğan’s immediate and unconditional release, PEN International also appeals to the Turkish authorities to release all others who are imprisoned for exercising their right to freedom of expression and reiterates its call on all parties for a peaceful solution to the conflict.